This Friday releasing two Hindi offerings Mom and Guest Iin London have ample opportunity to show full fledged performance at box office, as the biggie Tubelight has been crashed down too early due to unfavorable reactions from audience. So the new offerings have major segment of audience to divert toward themselves. After 2012’s English Vinglish, veteran actress Sridevi making her comeback with a suspense thriller Mom, that also stars Nawazuddin Siddiqui, Sajal Ali, Akshay Khanna, Adnan Siddiqui and Abhimanyu Singh in pivotal roles. Directed by Ravi Udyawar, it is getting positive reviews from critics after the premiere, that was held on Tuesday. Obviously the pre-release positive reviews have raised some hype of Mom among audience, due to which now it seems to take higher opening than the opposite one. Sridevi’s last movie English Vinglish was opened at 2.51 crores in India and collected total 34.86 crores in it’s lifetime. Considering the current scenario of box office and with around 1350 screens (Hindi, Tamil, Telugu & Malayalam), Mom could open at 2.50-3.50 crores at domestic box office. If it gets succeed to impress the audience in the same way as it has impressed critics, then it can go past 10 crores in the opening weekend. On the other hand, Ashwni Dhir’s directorial Guest Iin London is the second installment of the franchise that was began with Atithi Tum Kab Jaoge? in 2010. 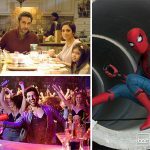 The previous film had Ajay Devgn, Konkona Sen Sharma and Paresh Rawal in lead roles, while the latest one stars Pyaar Ka Punchnama‘s fame Kartik Aaryan, Kriti Kharbanda, Paresh Rawal and Tanvi Azmi. Atithi Tum Kab Jaoge? was also directed by Ashwni Dhir and took the opening of approx. 3 crores in India, did the business of 41.12 crores in it’s lifetime. But that had Ajay Devgn and Guest Iin London has Kartik Aaryan as it’s USP, so considering the facts it seems to take the opening of around 2-2.75 crores from 1100 screens (Hindi). Although comedy drama Guest Iin London has completely opposite genre than Mom and has it’s own targeted audience to attract. But there is one more competitor from Hollywood i.e. 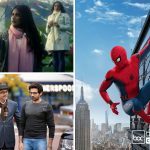 Spider Man Homecoming which can spoil the game for both Hindi offering to some extent.